Not all bibles are created equal. While the scriptural content may be the same, the look, feel, translation and additional materials make certain Bibles more suitable for certain kinds of readers. The recommendations below explain the different elements to consider when purchasing a bible for a particular reader. One additional consideration might be Catholic Bible translation you prefer. When thinking about a children's Bible there are a number of subgroups with that category. These baby Bibles are great first introductions to the stories of the Bible. Many of them feature the rugged hardboard pages that can hold up to the loving abuse of a young child. Words are few, images are vibrant and child engagement is high. When children begin to read there is a great pride in "I read it myself". These early reader bibles typically use simplified paraphrased language to introduce the stories, people and events of the bible to young readers. These Bibles also tend to have paraphrased text, with an emphasis on colorful illustrations that draw kids into the story. The use of age appropriate language and engaging illustrations helps draw kids from one story to the next. Two things may make a Bible a "Youth Bible", the cover and design or the additional content included with the Bible. Traditional Catholic Bibles with cover and design elements more suitable for teens. 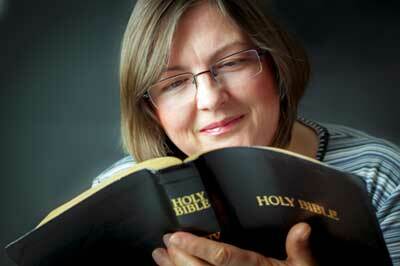 Catholic women look to the Bible for inspiration, guidance and courage. The Bibles identified as women's Bibles often have additional material that speaks to the issues of women. While there are few bibles that seek to support the spiritual lives of Catholic men, there are some. It is more than just the cover that makes a bible and Men's bible, it is the content, reflections and resources beyond the scriptural text. A personal Bible can be a lifelong treasure. Large print Bibles can be a necessity in later years. A Bible is a great gift for a variety of occasions.